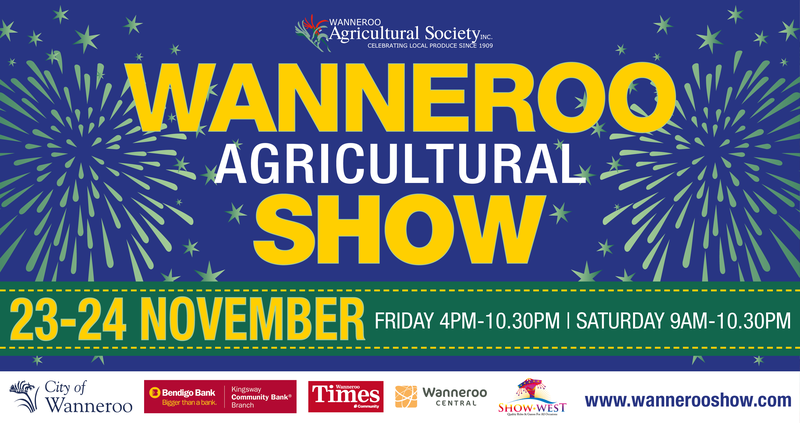 The Wanneroo Agricultural Show is an affordable fun-filled family show. Experience excitement at the 2018 Show with an action packed Sideshow Alley, Fireworks 9-15pm on both nights and jam-packed Main Stage that will keep you amused for hours. Help stimulate your Senses along the way with interactive Animal Farm, Log Chop, Food and Showbags galore. Look for the Margaret Cockman Pavilion showcasing the best of the districts produce and creativity. Use your e-ticket to "Jump the queue" we will have express lanes at gate 1 on Leach Road and gate 3 off Ariti Avenue. You can use you e-ticket at the other gates but you will have to join the queue at these ticket boxes.